AC Wi-Fi provides larger-home coverage with Gigabit wired connections. Avoid wireless interference with simultaneous Dual Band technology. This router provides Wi-Fi coverage to many corners of a big home. 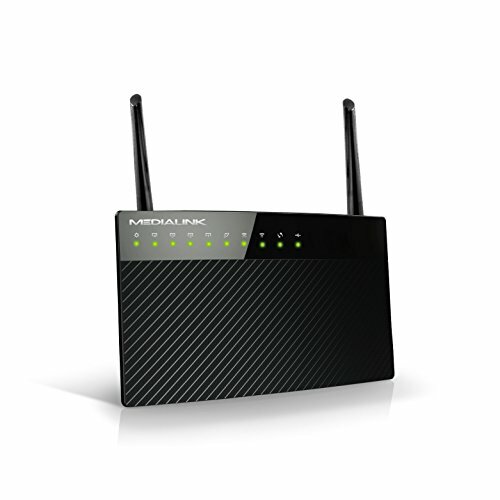 You can also extend existing Wi-Fi signals with the router’s Universal Range Extender Mode. The MLWR-AC1200 makes sharing across your network even simpler. Quickly access stored photos & music across devices. It supports the latest security features, to help ensure your privacy & make sure that your family is safer while online. Parents & admins can manage internet filtering & control bandwidth for devices. If you have any questions about this product by Mediabridge, contact us by completing and submitting the form below. If you are looking for a specif part number, please include it with your message.